Pamper the special ladies in your life with this fabulous gift set. 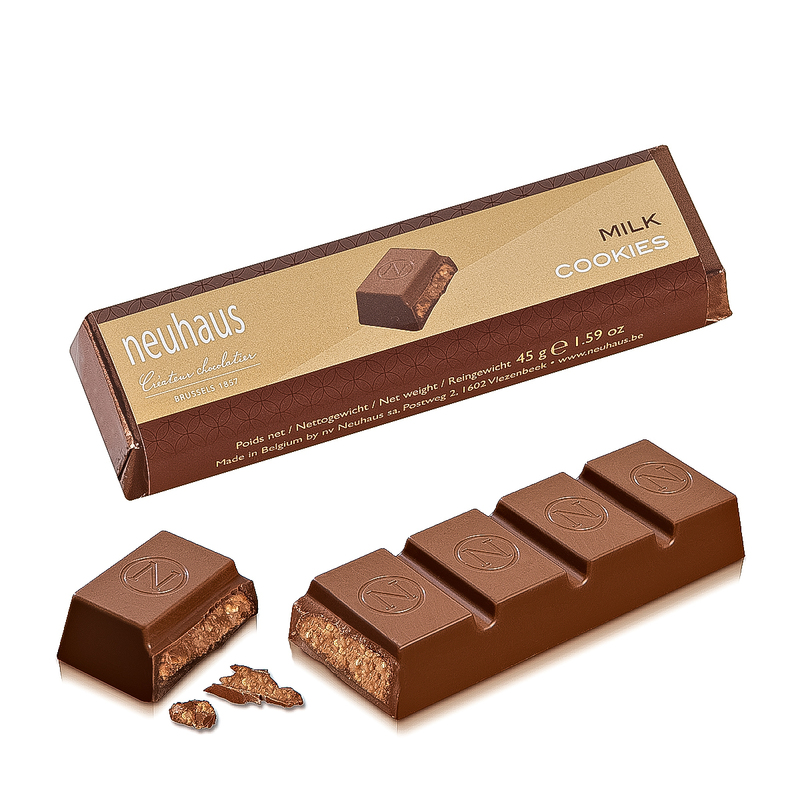 Beautiful Mii makeup and irresistible Neuhaus chocolates are combined in this feminine gift. The gift begins with the Mii Precious Gem Collection makeup gift set. Mii is a British makeup line that is free from parabens, artificial fragrances, and petrochemicals, and it is never tested on animals. Their pure mineral makeup is suited to all skin types and is designed to bring out a woman's best every day. Sweep on Mii's Mineral Divine Illuminator for a radiant pearlescent finish with a hint of shimmer for a photo-ready face. The luxurious limited-edition Kabuki brush is studded with sparkling gems to make her feel extra special. The Dazzling Lip Glitz in Pink Bubbles is a non-sticky lip gloss with an irresistible shimmer to wear alone or over lipstick. 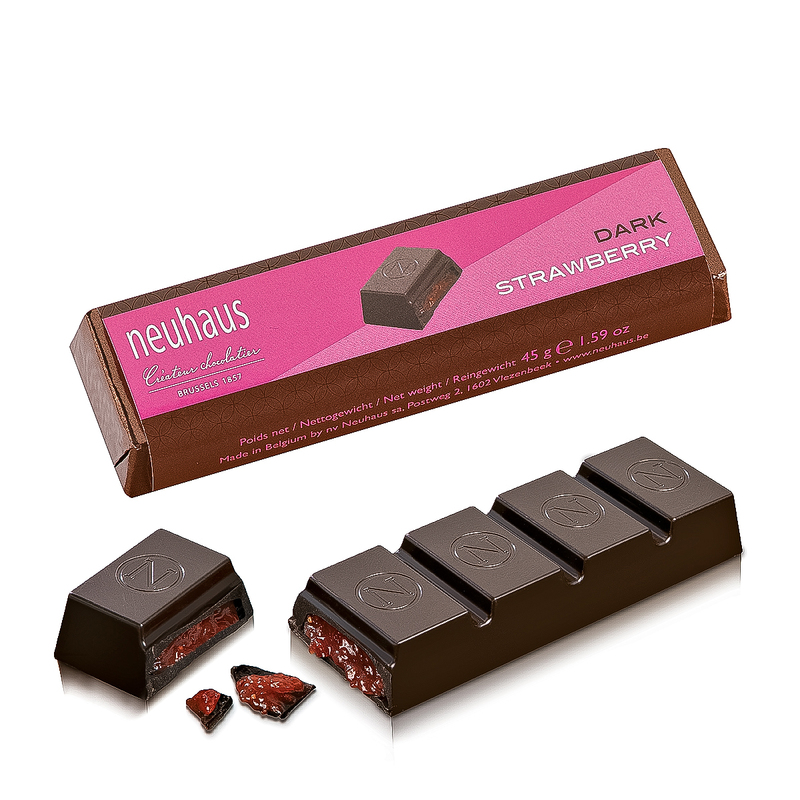 The elegant Neuhaus gift box holds a tempting assortment of Belgian chocolates and sweets that she is sure to love. 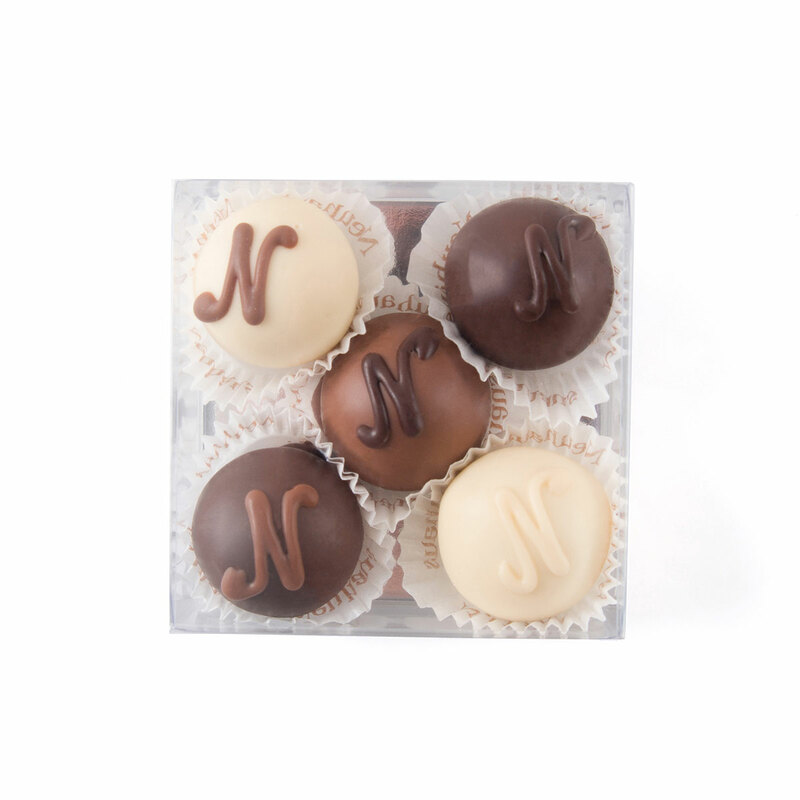 The selection includes white, dark, and milk chocolate Manons, mouth-watering caramels, and two delicious chocolate bars: Milk Cookies and Dark Wild Strawberry. 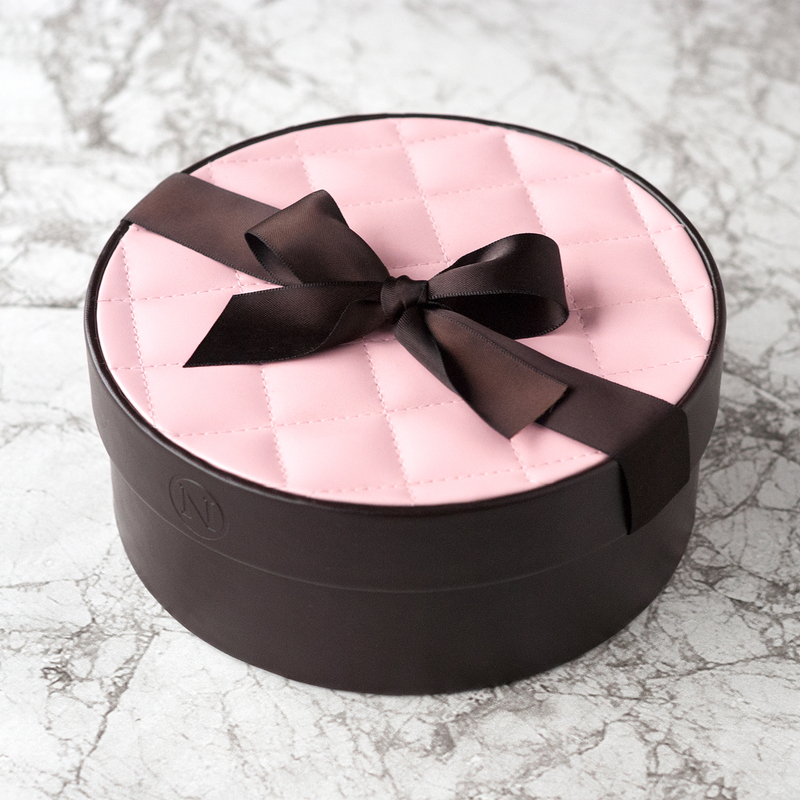 The chic quilted pink and espresso round gift box makes a stylish keepsake of this special gift set. An ideal gift idea for women for Valentine's Day, Mother's Day, or birthdays.